The American River College Jazz Collective started the Jazz Combos Showcase concert on campus Friday by performing three songs. The group played “Corcovado” by Antonio Carlos Jobim, “Yes and No” by Wayne Shorter and “Someday My Prince Will Come” by Larry Morey and Frank Churchill. 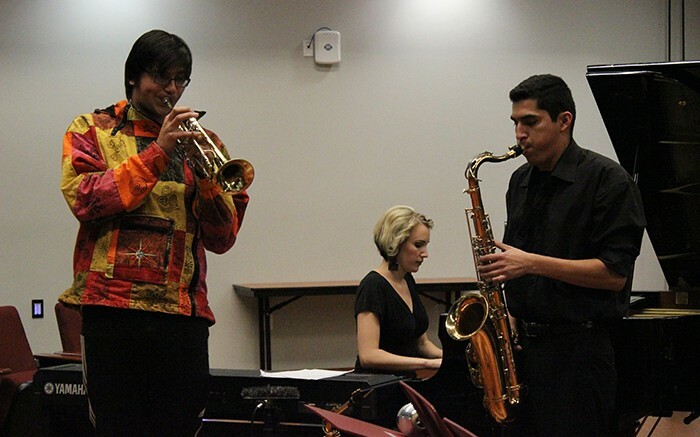 The Jazz Collective was one of four groups to perform, which also included Silver Tones, Descarga Tropical and 547. 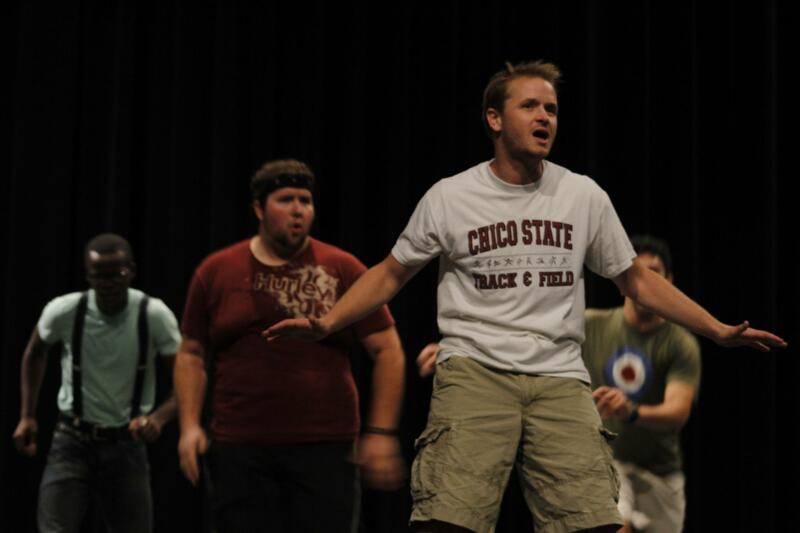 Silver Tones was the second group to perform. The group played “Duke’s Place” by Duke Ellington and “Cantaloupe Island” by Herbie Hancock. Descarga wrapped up their set up with a Latin spin on the Jazz standard “All of Me” by Gerald Marks and Seymour Simons. Ryan Knowles, the pianist for Descarga Tropical, explained why it was difficult to perform Latin-style music compared with other genres. The next act was the group 547, which was named after the main practice room. The ensemble performed Curtis Fuller’s “The Egyptian” and Joseph Kosma’s “Autumn Leaves”. After the concert, Gilman commented that the concert went very well, and was a great learning experience, especially for the newer members who are in the groups. “As each of the groups get to know each other, listen more, and learn more about the Jazz idiom and how to play it, they will become more comfortable and grow both as individuals and ensembles,” Gilman said. Michael Pacheco is a fourth-year student at American River College. This is his third semester writer for The Current. Pacheco is a Journalism major, with plans to transfer to Sacramento State University in the fall. A music coach, he plans on getting into education. Be the first to comment on "Jazz ensembles perform in a concert at ARC"